Will Brexit Affect the UK’s Stem Cell Research? On the 24th June, the UK made the historic decision to leave the EU, and many industries are still waiting to see how this will impact them. Some of the scientific community reacted quickly and with gloom, with the former EU science advisor Anne Glover telling Science Mag that she was ‘very pessimistic’. While it’s still early days, and difficult to predict what will happen in the long term with regards to stem cell research, here are a few areas that might be affected. The European Research Council provides funding across the EU to a wide variety of research projects. For the period of 2014-2020, the ERC’s budget is €13.1 billion, with 34% of that budget earmarked for life sciences, including Cellular and Developmental Biology. As it stands, the UK hosts more researchers with starting, consolidator, and advanced grants from the ERC than any other member state. Leaving the EU doesn’t necessarily mean the UK will lose access to these grants, as people of any nationality can apply for them, but we may need to pay for inclusion. While we are currently a major beneficiary of the ERC, the UK could find themselves struggling, much like non-EU members Switzerland, for inclusion in further schemes. Science minister Jo Johnson has provided a more positive picture of the effects of Brexit, and in speech given at the Royal Society of Biology he claimed that world-class research ‘will endure’, as we are still part of the European Research Area. His speech also covered the impact of leaving the EU on current students who may be studying science related subjects in the UK, stating that they would still receive student finance. Others were less optimistic about the result and the impact it might have on research networks. Scientists for EU was set up to campaign for the remain side, and have been vocal about the impact that leaving will have on partnerships and research agreements. They have argued that even as an Associate Member of the EU, the UK might struggle to regain its current position in the ‘political union’. Immigration was a big talking point in the run up to the referendum, and leaving the EU could make it harder for scientists from abroad to work and study here. At the moment, there’s no immediate impact, but schemes such as Erasmus+, which is an exchange program for EU students, will have to be reviewed. During the campaign for Britain to leave the EU, many in the pro-leave camp suggested a points based system. Therefore, those working in specialist professions such as scientists and researchers might fare better than unskilled workers. Different EU countries have different regulations when it comes to stem cells. For example, Germany and Italy have strict laws about the use of embryonic stem cells, while the UK has comparatively liberal laws. This means that the UK has become a leader in stem cell research, and UK scientists shouldn’t see their work disrupted by Brexit. However, it does mean that EU scientists who planned to carry out their research in the UK may struggle in future if restrictions on movement are put in place. We may not know for a while what the long-term effects of leaving the EU will have on stem cell research, or scientific research in general. A report by the Commons Select Committee titled ‘Leaving the EU: implications and opportunities for science and research’ will be published in the coming months, and this should tell us more. Whichever way you look at it, there could be a period of uncertainty ahead in terms of stem cell research. Treatments for illnesses such as cancer and cystic fibrosis could soon become more personalised, thanks to a technique that grows organoids from stem cells. When being treated for serious illnesses, many patients will suffer side effects from their medication, and it’s not always possible to predict how the body will react, or how effective treatment will be. By taking a sample of stem cells, researchers at University Medical Centre Utrecht have been able to grow ‘mini organs’ known as organoids. They can then test different drug combinations on these organoids, and see how they react. These experiments give doctors a much clearer picture of how effective certain treatments will be. It means that they don’t have to rely on the results of clinical trials, and can personalise medicine to each patient’s needs. This is especially helpful in cases of Cystic Fibrosis, where there often aren’t enough patients to carry out effective studies. So far, doctors in the Netherlands have treated 1,500 patients with this technique, and have successfully helped many cystic fibrosis sufferers. It’s also beginning to be utilised in cancer cases. Only one biopsy is needed to harvest the stem cells, and the same sample can be used over and over, which means fewer tests for the patient. 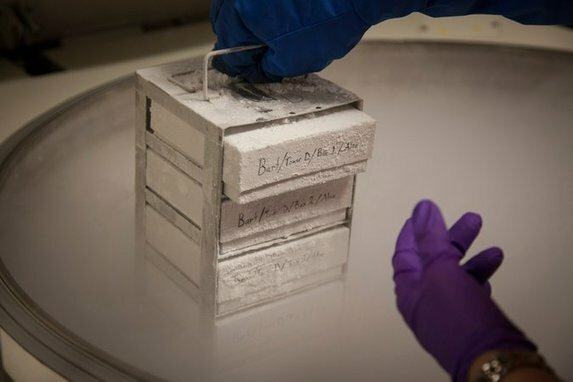 Not only can they build one organoid and run tests, but researchers can build an entire mini-system to see how different organs might react to various medicines. This news again shows the potential that stem cells have to treat diseases, and give patients a better quality of life. A stem cell study, based at Stanford University School of Medicine in California, has shown some incredible results in treating paralysed and wheelchair-bound stroke patients. A small group of 18 patients underwent ground-breaking medical procedures in which a hole was drilled into their skull, with stem cells injected into certain damaged areas of the brain. Patients in the study included people whose strokes had occurred six months to three years before the procedure, as this is often regarded by doctors as being past the point where the brain can regenerate and heal itself. By injecting stem cells into damaged areas of the brain, the theory was that the adult brain would ‘reset’ itself back to an infant brain, and could then start to heal from the trauma of a stroke. Children’s brains often heal well after a traumatic injury or event such as a stroke, and by using stem cells from donor bone marrow, researchers were able to make adult brains heal themselves in the same way. This simple procedure was carried out under local anaesthetic, with patients able to go home the next day. Short-term side effects were no more serious than a headache, and so far no long-term side effects have been noted. The injections were carried out two years ago, and since then none of the patients have had a relapse. 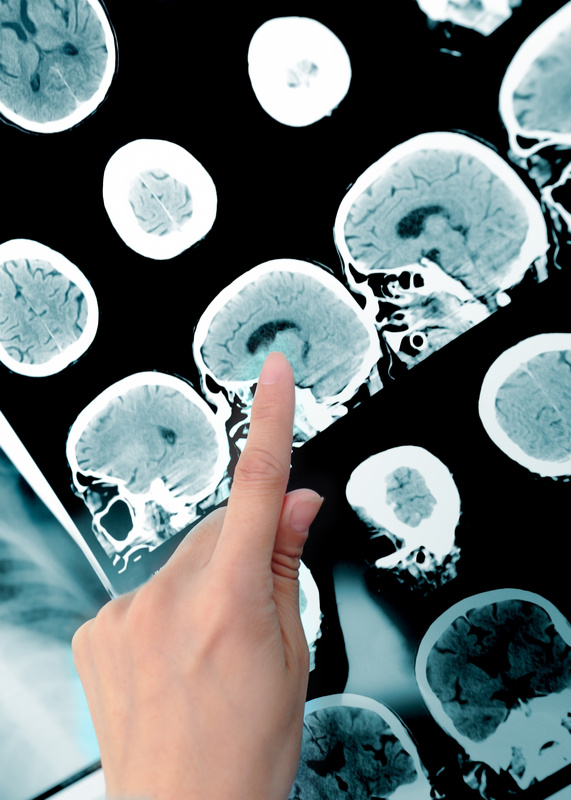 Not only does this procedure have the potential to help many stroke victims, who in the past may not have had much hope of recovery, but also those who have suffered life-changing brain injuries, and those suffering from neurodegenerative disorders such as Alzheimer’s, Lou Gehrig’s disease, and Parkinson’s. These conditions often see sufferers facing a bleak future, but stem cell therapy could offer them a ray of hope. Could Stem Cell Therapy Be Used for Hard to Treat Angina Patients? A recent study by the Society for Cardiovascular Angiography and Interventions (SCAI) in Orlando, Florida has shown that stem cell therapy could potentially be used to ease refractory angina; a previously difficult to treat condition. Refractory angina (RA) is an increasingly common illness that is estimated to affect around a million Americans. RA is caused by severe blockages in the heart, which restrict blood flow and cause life-limiting issues such as chest pains, tiredness, dizziness, and a shortness of breath. Unlike many other types of angina, refractory angina isn’t responsive to the usual treatments such as lifestyle changes, surgery, and medication. Test subjects in the trial were transplanted with CD34+ cells which were self-donated. These cells were chosen as previous studies had shown that patients with coronary artery disease had a better outcome if the CD34+ levels in their bone marrow were high. Out of 112 patients studied in the trial, 57 of them received CD34+ cells, while the others received a placebo. In follow up sessions at three, six, and 12 months, it was found that patients who had received the stem cell treatment were able to exercise for longer, and that their risk of a major angina attack had decreased. At the two year follow up, it was found that patients who had received the stem cells had a lower rate of mortality. The study found that the positive effects of stem cell therapy tended to decrease over time, which would mean that if this kind of therapy would need to be administered regularly. SCAI unfortunately had to cut the study short due to funding issues, and although the original plan was to see 444 patients with refractory angina, only 112 were used in the trial. However, the results could be an exciting step towards creating better therapy for patients with difficult to treat heart conditions.